Outstanding training with Will Thomas and associates. 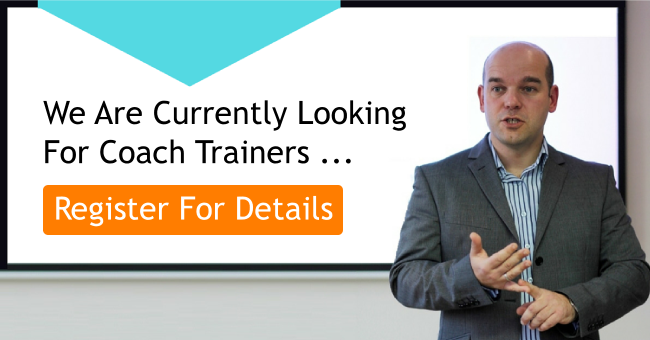 Will has been described as a “Maestro of Coaching” (Geoff Barton, TES) and “Without doubt one of the top trainers in the UK and probably the world” (Richard Churches, Principal Advisor, Research and Evidence-Based Practice, CfBT Education Trust). Training courses are engaging, deeply reflective and tool you up with skills, resources and massive confidence. Public courses run throughout the year. Click below for details. The Level 1 Foundation in Coaching Skills course is a practical, relevant and accredited programme that provides the definitive introduction to coaching for educators, based on the Coaching Solutions books. One day or equivalent. Building on Level 1 the Advanced Practice Course takes your coaching skills to a whole new level. It includes: advanced questioning, NLP language patterns, and rapport-building skills. How to embed coaching in your school. Level 2 accredited. Two days. A whole day immersed in coaching with Will Thomas. See dozens of techniques and tools demonstrated, unpack the process and then use the approaches yourself. A day with a master coach to take your own coaching skills towards mastery. In association with The University of Worcester, Vision for Learning and The Institute of Educational Coaching, this face to face, and distance learning Masters credit programme offers the opportunity to bring together your Level 1 and 2 practical skills training with a deeper action research study and a high level assessment of your skills. Twelve Months – 20 masters credits and your Accredited Coach Practitioner Certification. Banish, stage fright forever and make your presentation skills truly magical. This three day programme develops your skills across a continuum of developer styles including training, facilitation and presenting. Packed with practical experience and cutting edge tools and techniques for the ultimate in training confidence. Training and assessment for Master Trainer Certification included.